Write on this label with a pencil or marker and then seal in your writing with the label's built-in self-laminating flap. 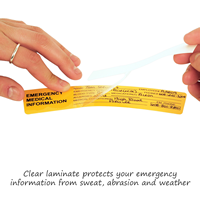 • Your label is protected against water, grease, abrasion and weather. • Show vital safety information. 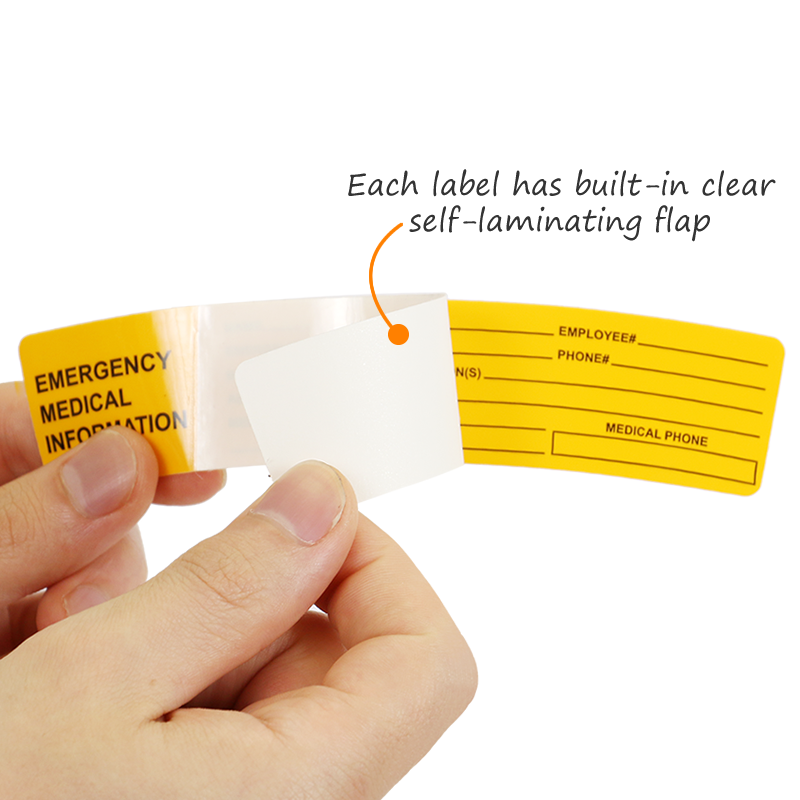 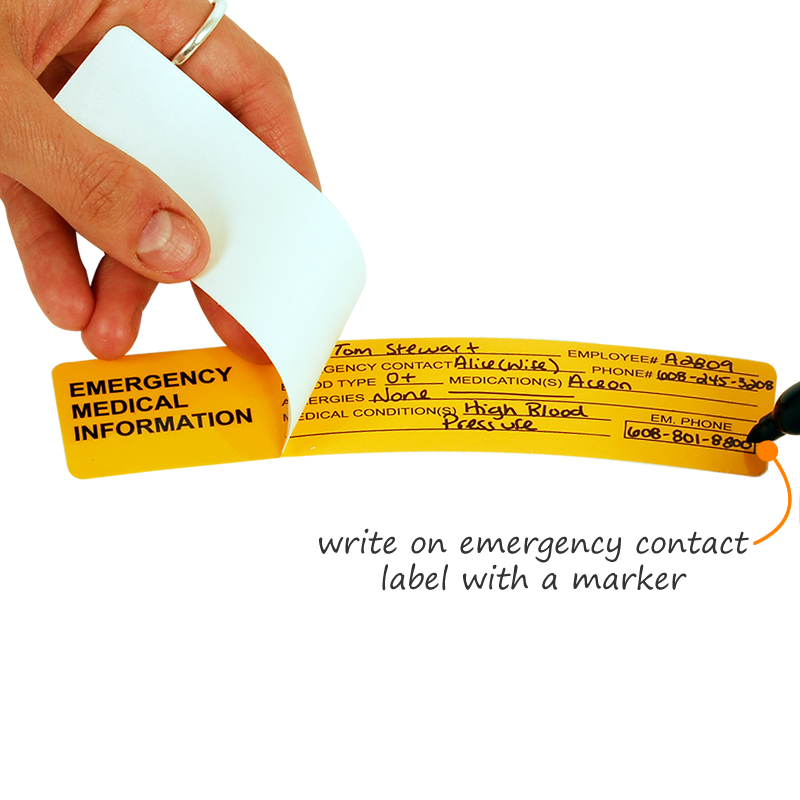 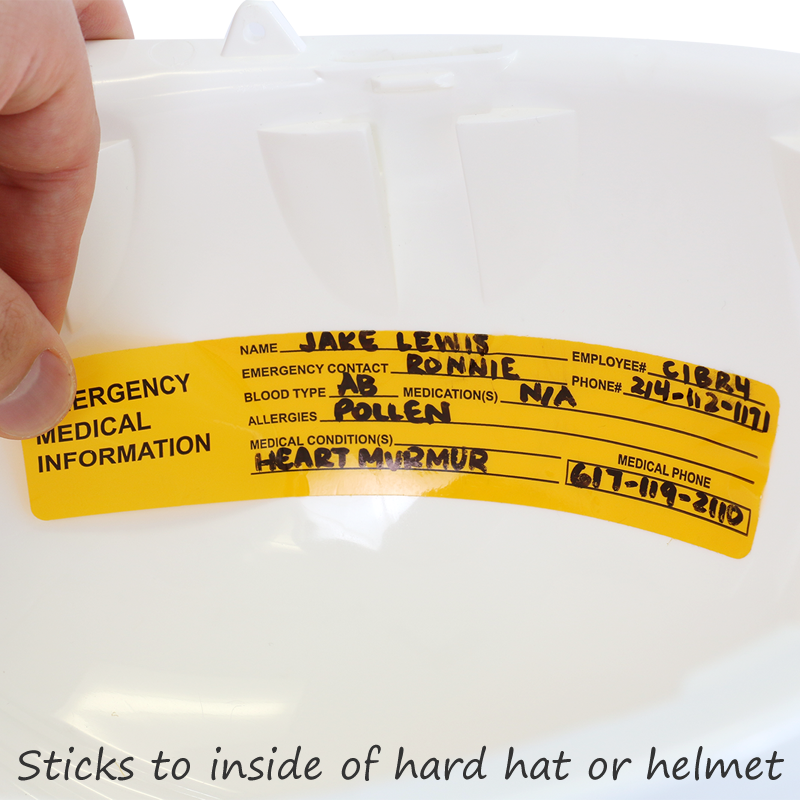 • Once you have completed the emergency information and contact details, seal in your label using the built-in clear laminating flap. 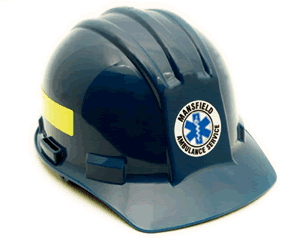 Your message is protected from abrasion, grease, and chemicals. 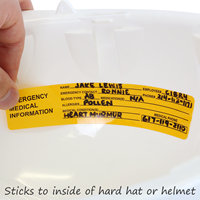 High quality stickers at an affordable price.